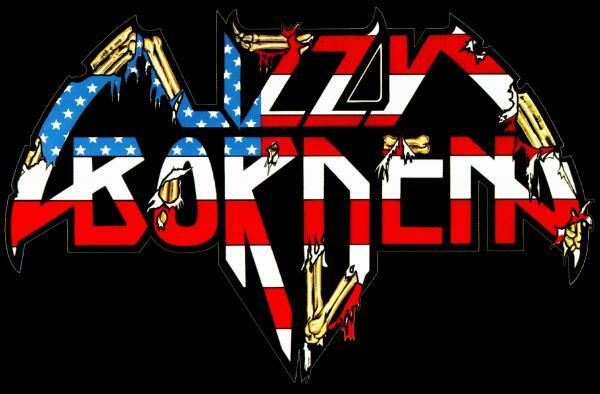 I am a huge Lizzy Borden fan. I would rank their albums this way from best to worst. Menace to society-As great as it was in 1986. Love you to pieces-Really strong album. Give ’em the axe-The first one I heard and their cover of Long live rock and roll really works. Deal with the devil-Decent comeback. Master of disguise-It’s a mixed bag. It’s one of the few Dio era Rainbow songs that I never cared for. I remember the live album being good too, but have heard it since at least 1987. Ahhh, The Murderess Metal Road Show! classic. Well, I am right there with ya’ from 84,85 & 86. After that I am afraid they started turning in crappy production (maybe not their fault 100%) and average to slightly “above-average” albums as a whole. Now for individual tracks, they were still creating good music from 87-90. After that I guess they just fell off my “metal radar”. **funny, the guy’s house I went to (to listen to the FATES WARNING) just ordered the DVD (or VHS not sure) online. When it comes in we were going to “Give his wife the Axe” and take over the living room home theater to jam on it…. I am not sure what that last crazy L.B. is supposed to be though? I watched some stuff on You Tube and it was pretty bad and Lizzy actually scared me he/it looked so baaaaaaaaaaaaaaaaaaad. I really like everything about “Appointment With Death”… Old School, if you will. “The Darker Side” is as sinister and (dark) as a Metal ballad can get. I highly endorse this album, it was a terrific way for Lizzy Borden to let the Metal world know… his band is still creeping around the corner. Master OF Disguise a 1/10? That album was a masterpiece. The title song, Sins Of The Flesh, Love Is a Crime, Never Too Young. All great songs. Excellent production. I’d say it is my favorite LB album.